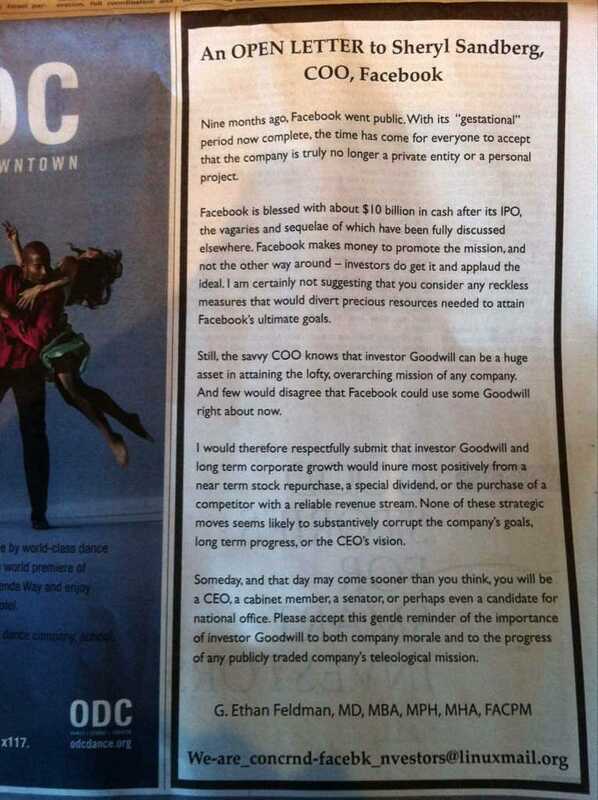 If you were ever wondering why companies like Twitter are avoiding IPOs, may we present this strange advertisement. Surya Yalamanchili tweeted this quarter page ad that was in the Wall Street Journal. It asks Facebook to do a share buyback or a dividend. Facebook has been public for less than a year. Now is not the time for either of those things.